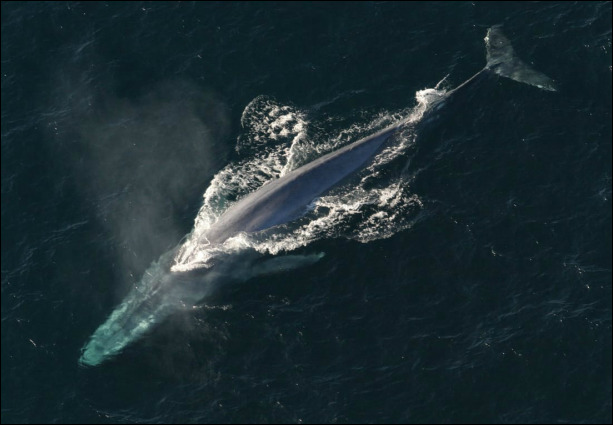 Antarctic blue whales tend to call more at night and are recorded during the austral winter - the breeding time! Whereas the Australian pygmy blue whales are vocally active later in the day and recorded when food productivity is at its peak. It seems from our research - both whale species are in Southern Australia for very different reasons. This study also found that in some years, Antarctic blue whales, did not return to their krill-rich Antarctic feeding grounds in the summer, as we'd expect. We discovered two new blue whale populations migrating off the east coast of Australia. In total we now have three acoustic populations of endangered blue whales off our coastline. Clearly our Australian coastline is very important to these marine giants.